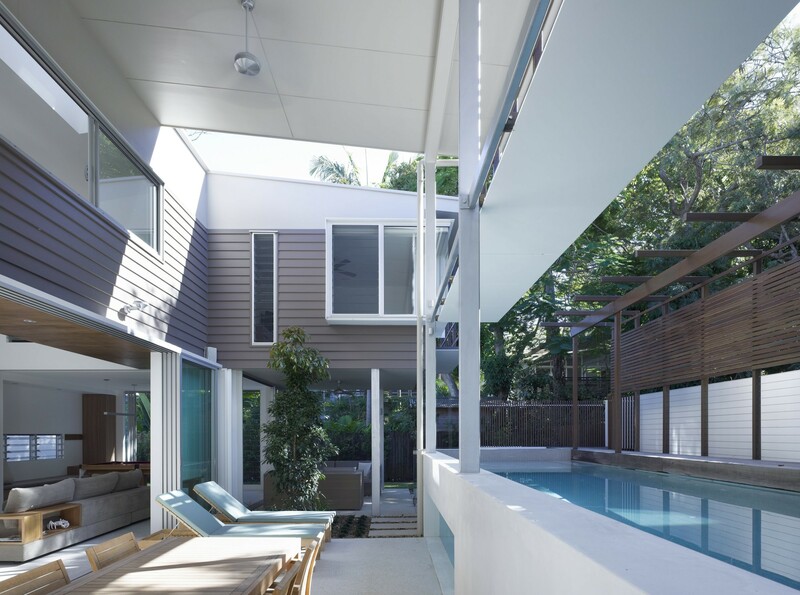 Designed for interstate clients as their Sunshine Beach holiday retreat and sited within the relatively tight confines of four neighbouring houses and a duplex, the Sunshine Beach house focuses on creating an ‘oasis of leisure’ within the boundaries of its 536m² coastal site. 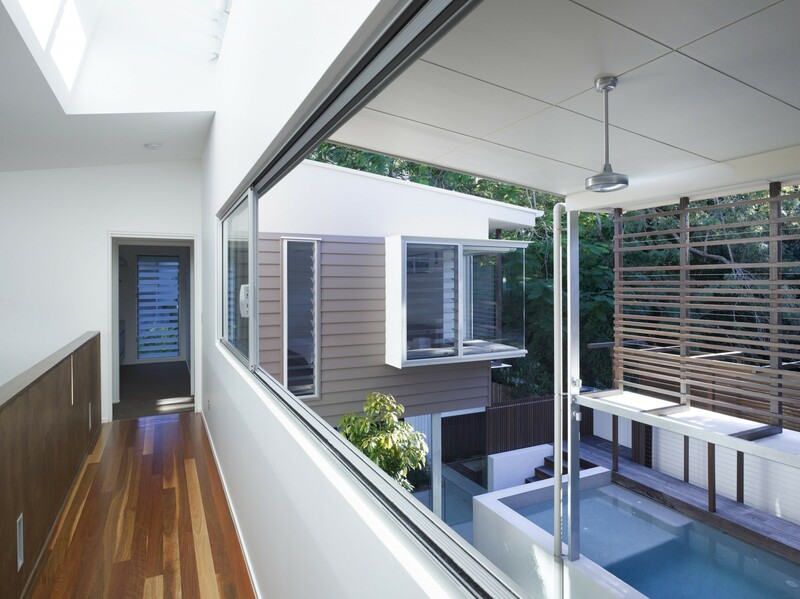 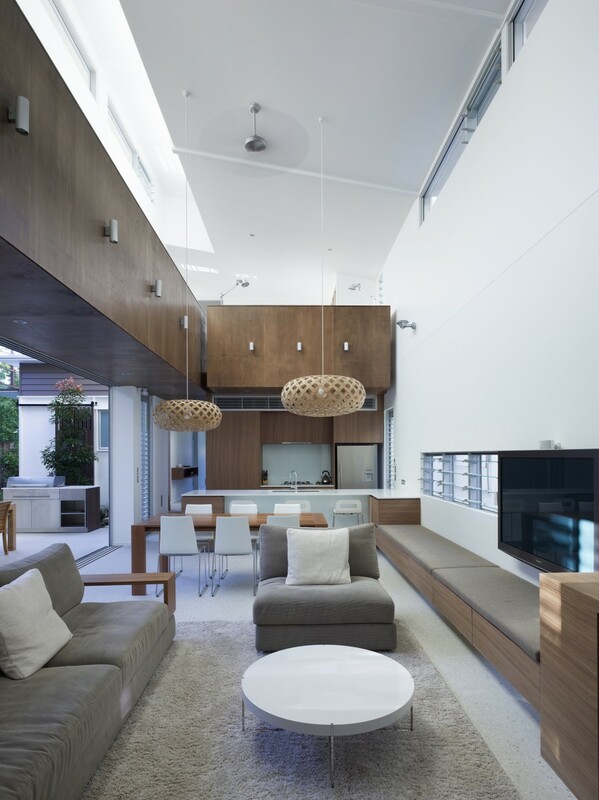 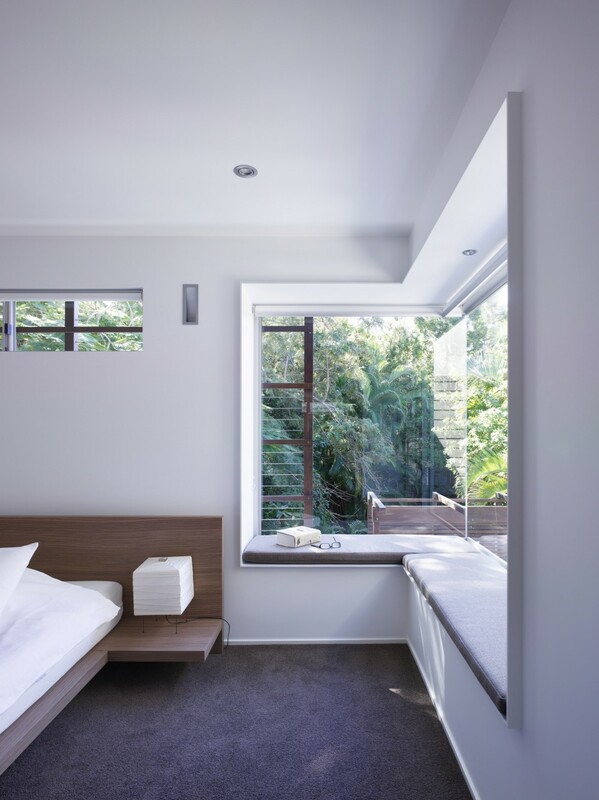 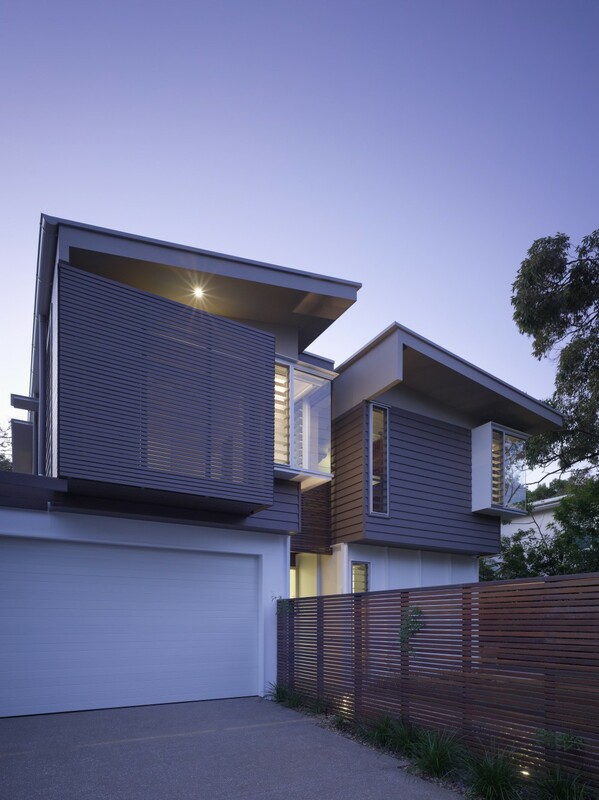 Sunshine Beach House was designed for interstate clients as a holiday retreat sited within the relatively tight confines of four neighbouring houses and a duplex. 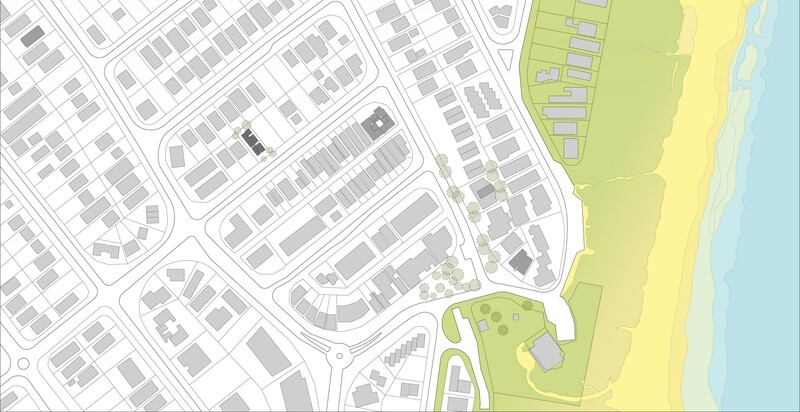 It was our goal to to create an oasis of leisure within the constraints of its 536m² coastal site. 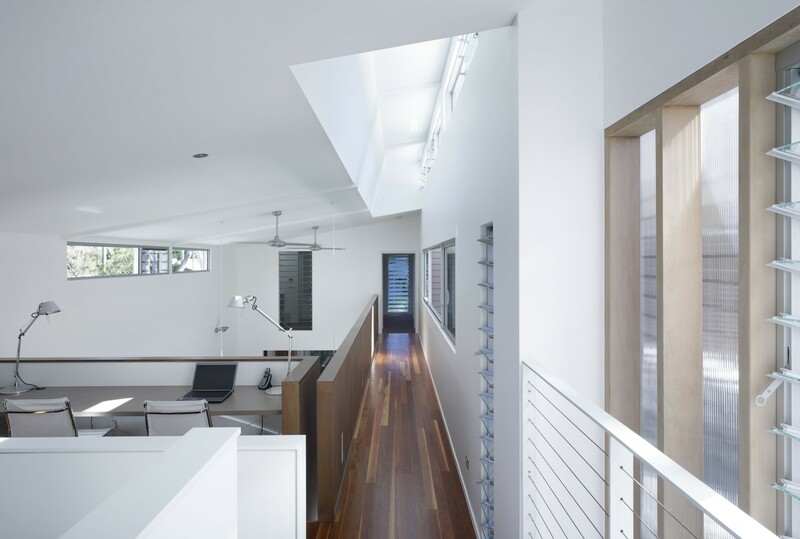 We designed the house to gather all the secondary spaces around a private north-facing double height space that served as the focal point of the house. 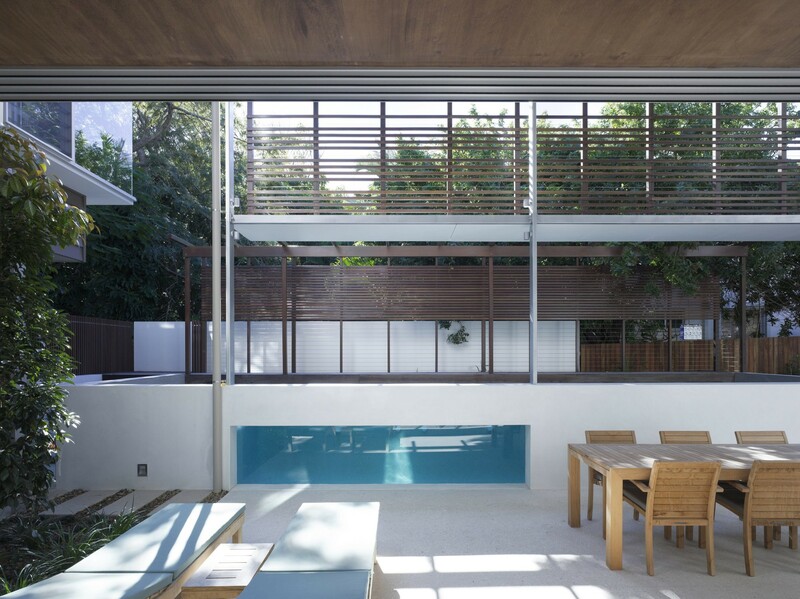 It serves as an indoor outdoor room where the residents can sit back and relax by the narrow swimming pool that is partly shaded from the sun for maximum comfort. 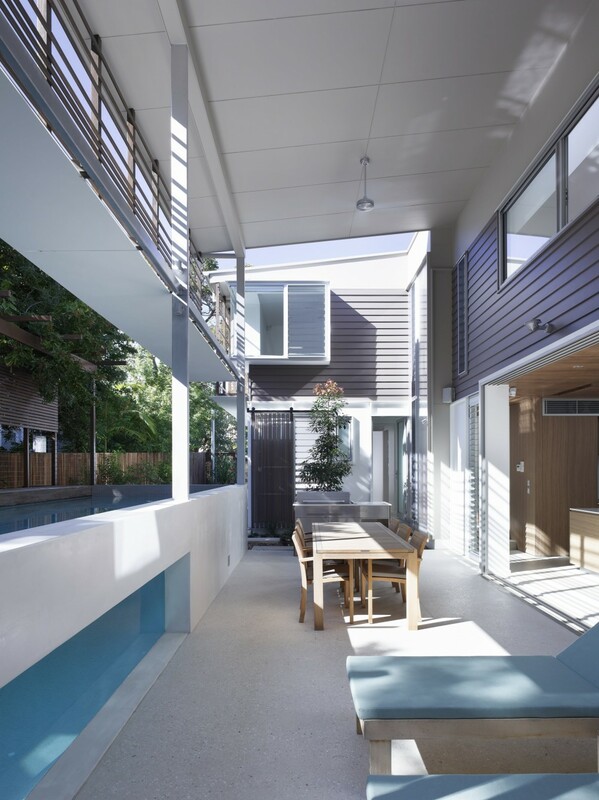 As the primary social space, the high open volume of the indoor space compresses the kitchen and pool room at each end of the space. 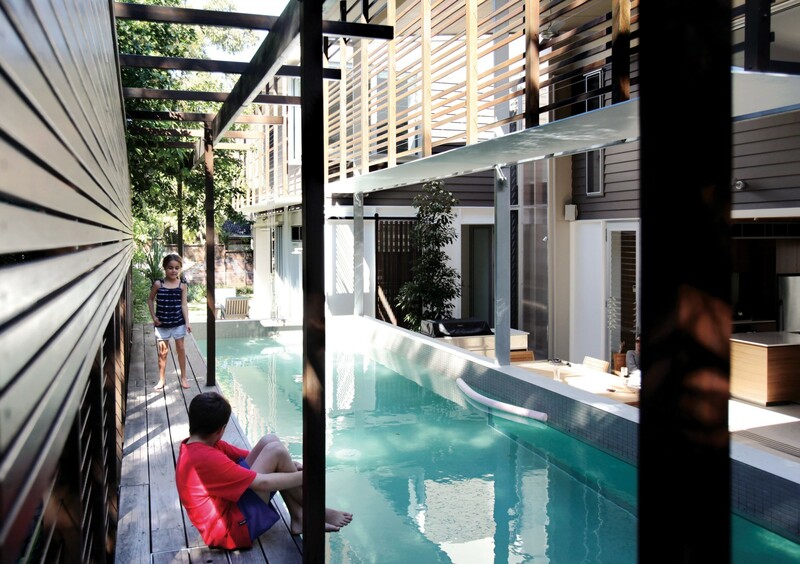 Similarly the open outdoor room volume compresses as an undercroft below the main bedroom, providing various places to enjoy family time and downtime. 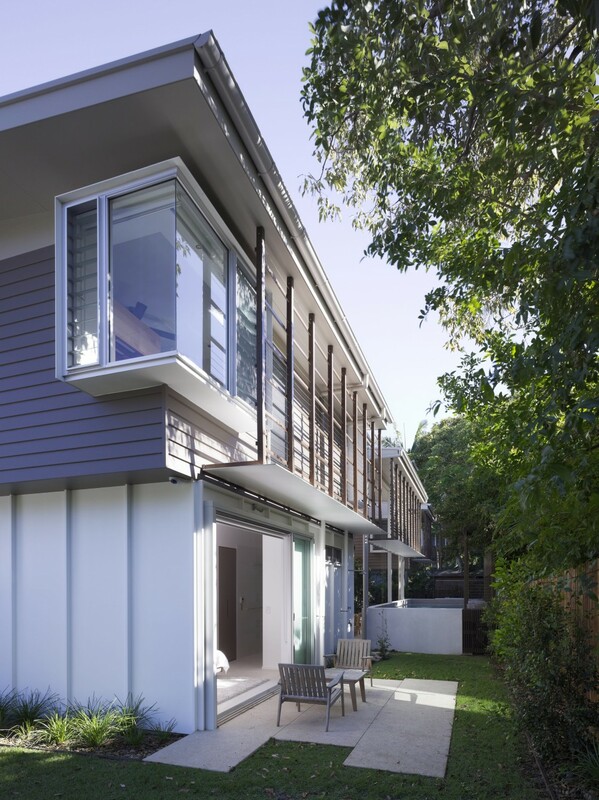 Separate zones of the house are connected by a strong visual axis of circulation from the double height timber screened entry on the east through to the louver window on the west. 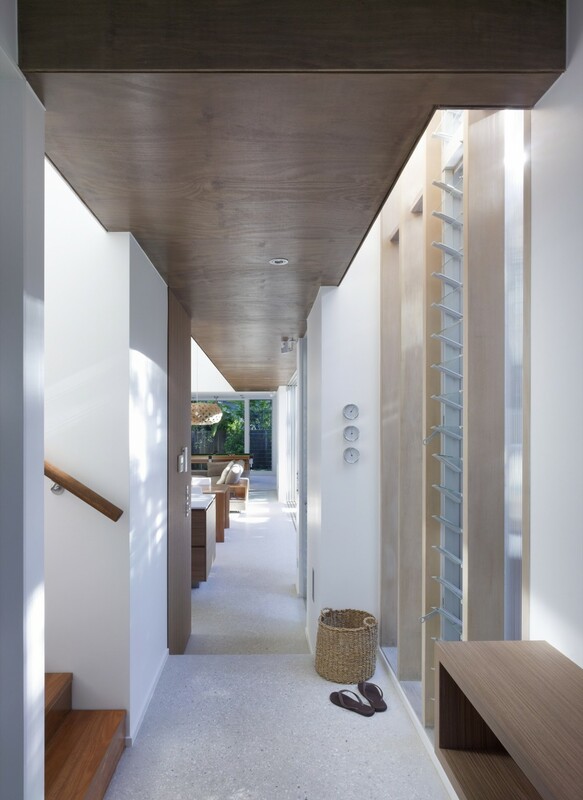 Along this spine, northern light falls through a continuous high level clerestory pop up, encouraging the winter sun and natural cross ventilation. 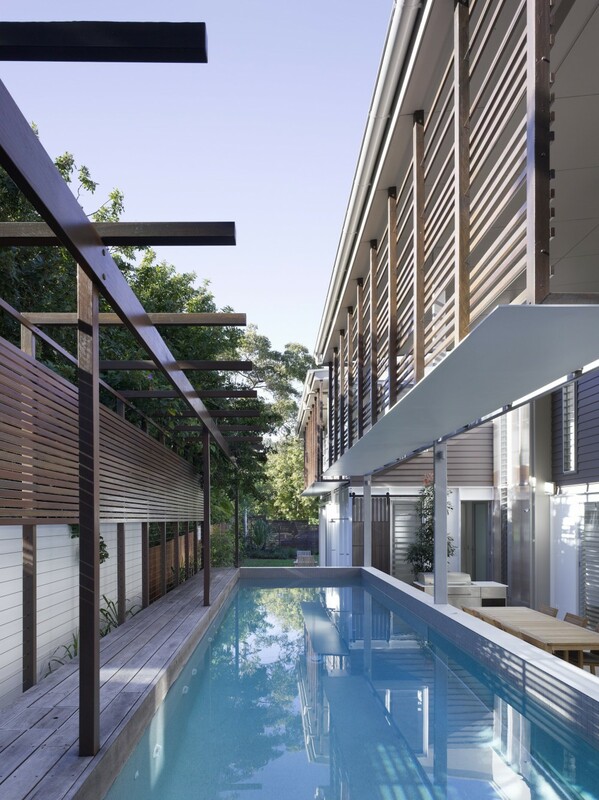 Taking visual clues from mid-century coastal beach shacks, the economical material palette combines exposed timber framing, timber screens, exposed studs, FC weatherboards, and polished concrete.